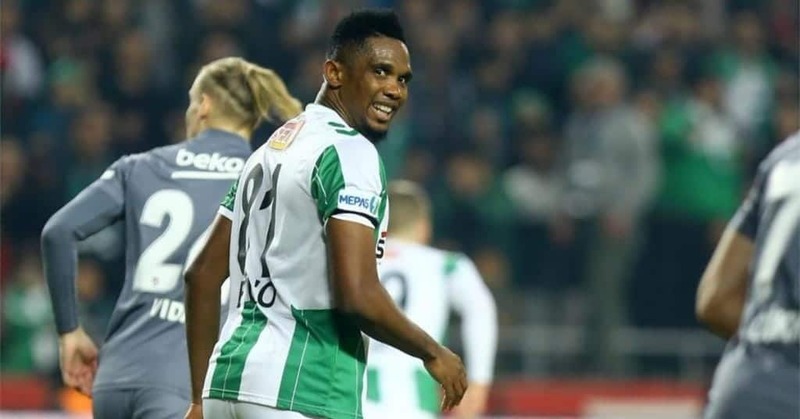 Samuel Eto’o’s illustrious career will continue with Qatar Football Club after the Qatar Stars League side announced capturing his signature for his 13th professional club. The 37-year-old Cameroonian, who was a free agent after three year in Turkey with Konyaspor, will be officially unveiled on Tuesday. “The management of Qatar Football Club is pleased to invite you to attend the press conference to present the international star Samuel Eto’o, which will be held on Tuesday,” the club tweeted. The Qatar Stars League is two weeks into the 2018-19 season and the Kings are placed 5th after picking three points in their last two outings. Eto’o’s capture is expected to spur them in their next fixture against Al Sailiya on Friday at Suhaim Bin Hamed Stadium.